I love quiches, but I used to avoid making them because of the fat content. This mushroom quiche recipe is one of my favorites partly because it’s so delicious, and partly because it includes fat-free mozzarella and sour cream. 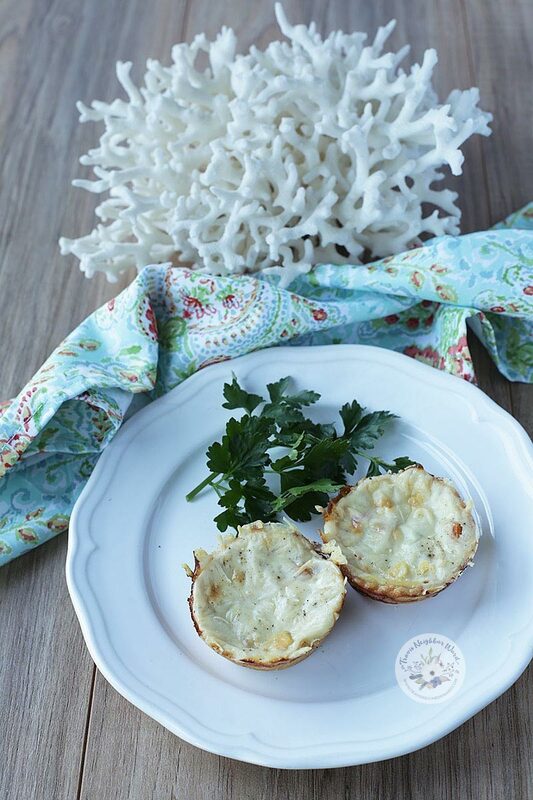 If you make it as mini quiches, they work well as an anchor for dinner, lunch, brunch, or a party. Plus, the ingredients are so natural and healthy! My kids love them, too. For the dough, I buy rolls of dough from the supermarket to save time, then cut round shapes from them. Here in Atlanta you can find those dough rolls in the same section where you find things like refrigerated crescent rolls. This recipe makes 12, so you can easily refrigerate or freeze the leftovers. Roll out the dough. Using a 3- to 4-inch circular cookie cutter (or any round object this size, plus a sharp knife), cut out circles from the dough. Grease a muffin tin with canola oil cooking spray. Press the dough into the muffin tins. It’s fine if the crust doesn’t perfect reach the top or spill over. 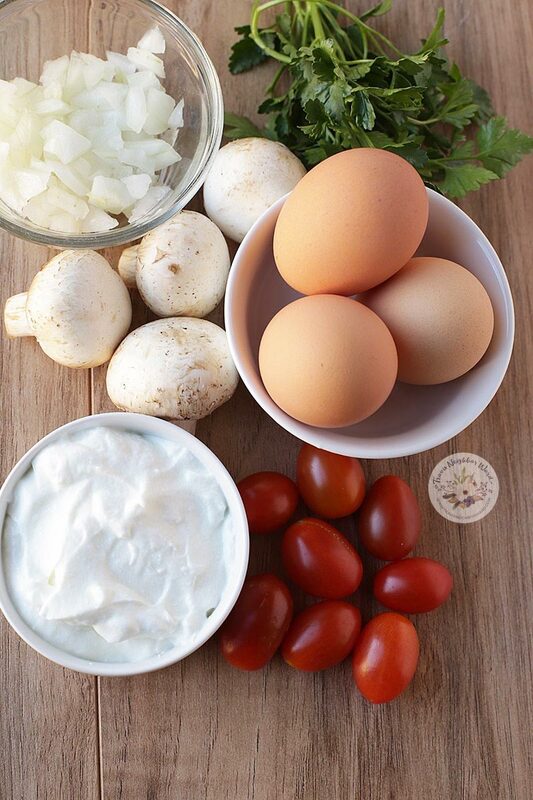 In a bowl, whisk together the eggs and sour cream until smooth. Add the onion, tomatoes, mushroom, parsley, and half the cheese. Mix well with a spoon. Sprinkle the remaining cheese on top, then add salt and pepper. Bake for 10 minutes and check. If the top is browning too rapidly, cover with tinfoil. Bake for another 11-14 minutes until the top is firm and the cheese is melted. Serve warm. You can also refrigerate for later and reheat in the oven or microwave. That’s it! I hope you enjoy them as much as we do.